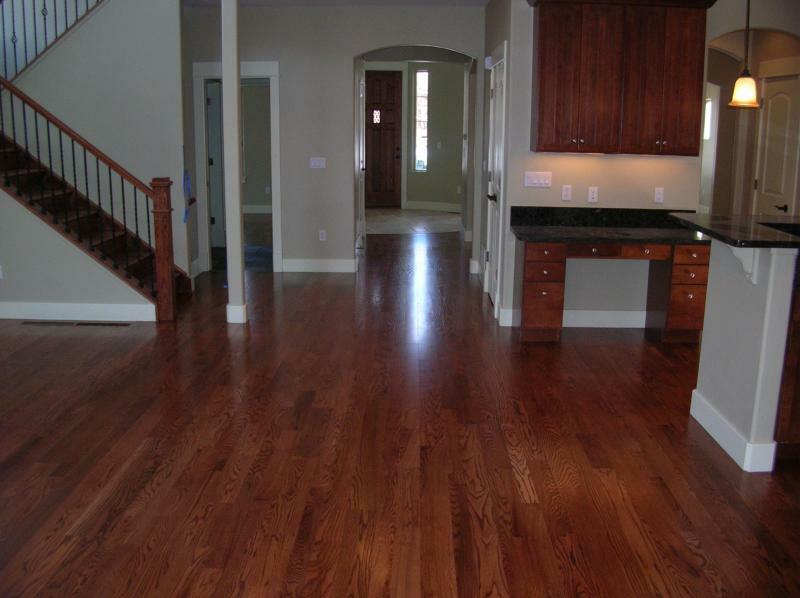 Red Oak # 1 Hardwood Flooring with a custom light cherry stain. Solid Red Oak treads with custom light cherry stain. 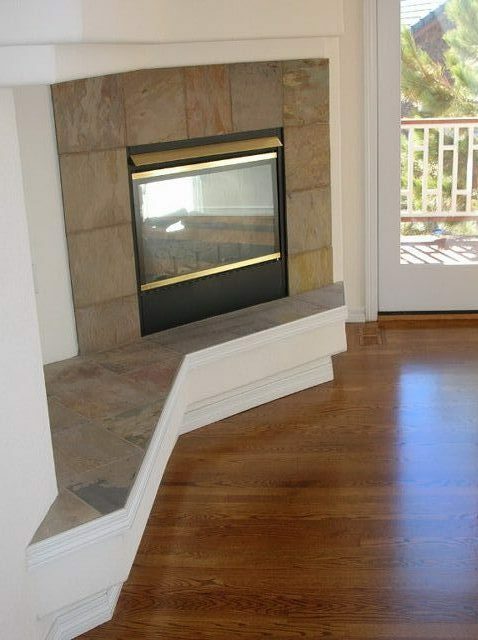 Hardwood flooring installed in herring bone design around tile inlay. 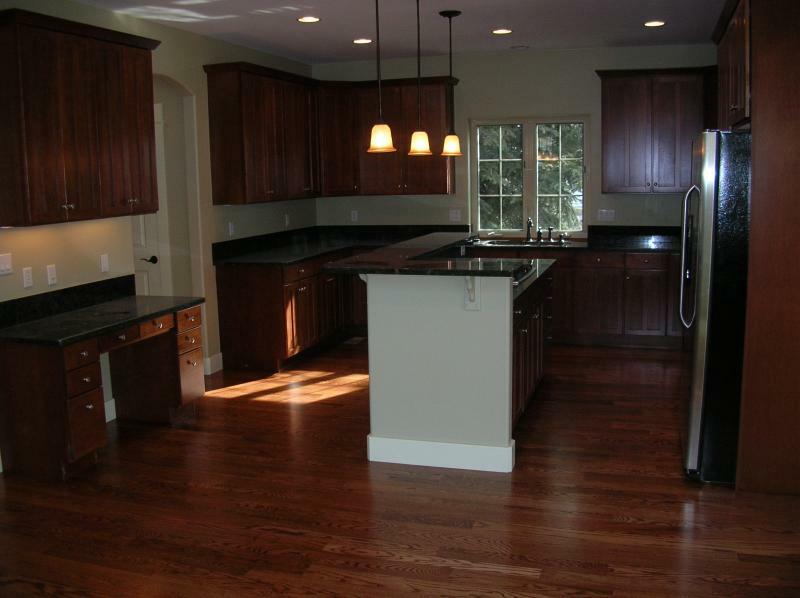 Red Oak #1 hardwood flooring installed in 2 1/4" wide boards and 4" wide board mix with custom light cherry stain.